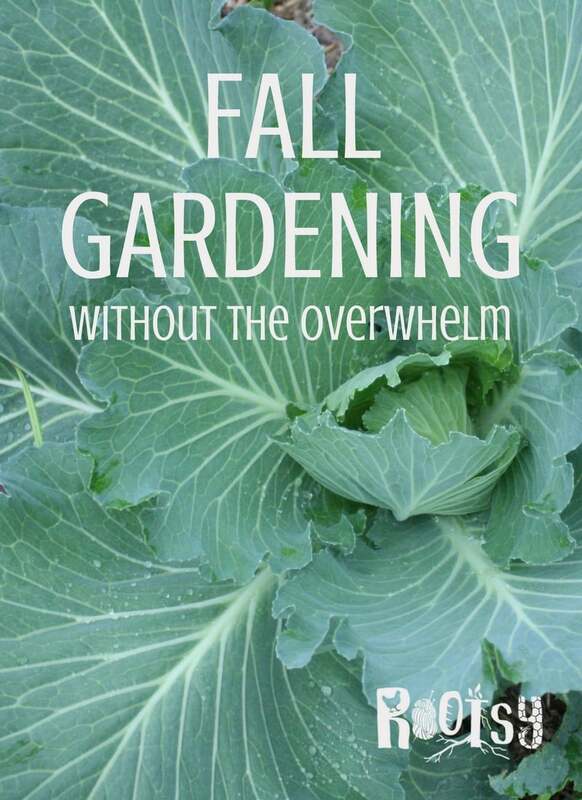 Do you think fall gardening is too much work? It doesn’t have to be. Learn how to grow food for your family in the fall in any gardening zone. Let’s be honest, fall and winter gardening can be tough. When you need to plant your fall garden, you’re probably knee deep in harvesting and putting up your summer crops. 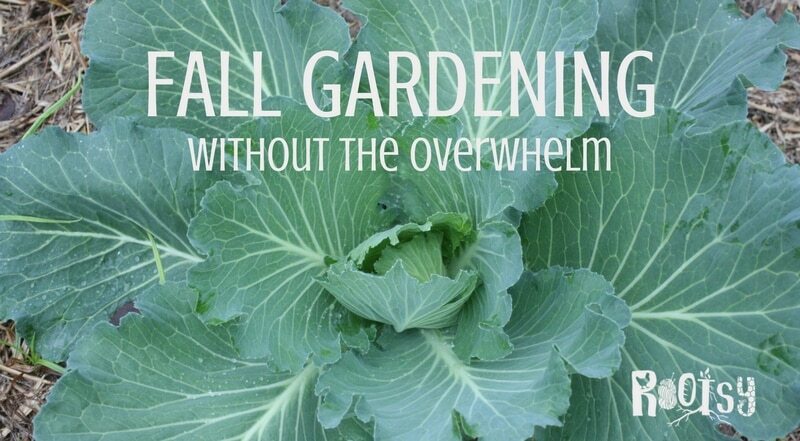 And you’re tired and all you want to do is put your garden to bed for the winter. But don’t, not just yet. Planting a fall garden doesn’t have to be overwhelming or as large as your summer garden. It also doesn’t have to be the sole source of vegetation for your family during the winter. Today, seven gardeners are going to share with you how we each garden (or don’t garden) in the fall and winter. Our homesteads range from gardening zone 3 to 9. Some of us have small children, some of us homeschool, some of us work outside the home, and because of these differences, we all approach the fall and winter garden differently. One of the best things you can do to have a successful garden is to keep a garden journal. Do you garden in the fall or winter? We harvest in the fall. We try to grow a few things in the house in the winter, but we lose direct sunlight for two months in the winter, so it’s tough. If No, why not and how do you get your produce for the winter? We store potatoes for quite some time through the winter. We can a lot of our harvest. 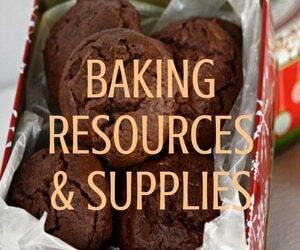 We purchase both local and regular grocery stores during the winter. We do have a greenhouse for getting a jump on growing in the Spring. It’s a 12×24’ greenhouse made of recycled windows. We do on occasion cover parts of our garden and flower beds with plastic to save plants from frosts. I’m a huge fan of Eliot Coleman and hope to someday try some of his methods for growing year around to at least extend our growing season. If No, why not and how do you get your produce for the winter? Fall gets cold fast and our daylight hours shrink dramatically. I keep the garden going as long as I can by covering for frost and we eat root veggies fresh from the garden until the end of October when we usually get the first round of snow. After that, we eat what we’ve preserved for the most part. There might be some fresh vegetables purchased in the winter but we keep it pretty small and do our best to do the preservation work during the summer and fall to feed us through the winter. Do you garden in the fall or winter? Yes! I try to plant at least three successions of crops in each garden bed – one in the early spring, one in summer, and a final one in the late summer/early fall. The final sowing is either a cold-hardy crop that will be overwintered, such as kale or spinach, or a crop that will be lifted and stored in our homestead root cellar. If Yes, how do you do that? 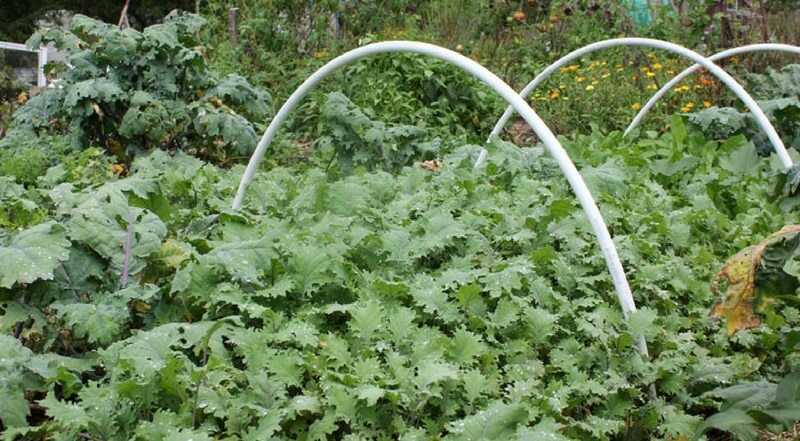 For the crops that we intend to overwinter, we create low tunnels from PVC pipe curved over a raised bed. 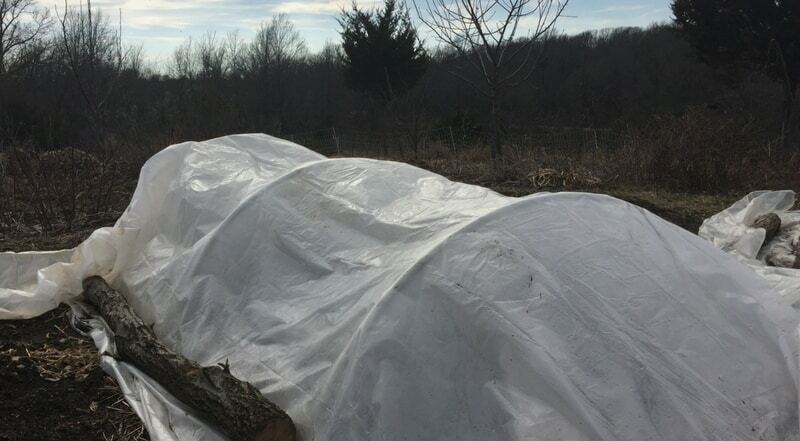 I cover the crops with two layers of protection – a row cover and a clear plastic. I also focus on growing storage crops that we can eat through the winter months. Winter squash, sweet potatoes, beets, carrots, and turnips are a few favorites. We do purchase food from the grocery store, but the combination of winter gardening and food storage greatly reduces our dependence on the store. Do you garden in the fall or winter? Late fall only. We do overwinter our parsnips and garlic. If No, why not and how do you get your produce for the winter? Our winters tend to be extreme and even if we cover our gardens, it’s hard to access it once the snow gets several feet deep. The hassle has not been worth it to us. 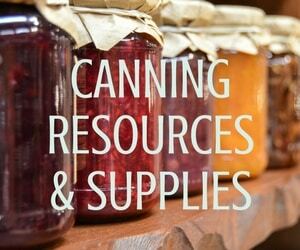 We primarily eat what we’ve canned and preserved during the spring/summer/early fall season. If we do need more, we purchase from a local grocer that gets their produce from nearby farmers. Do you garden in the fall or winter? I do some fall and winter gardening. 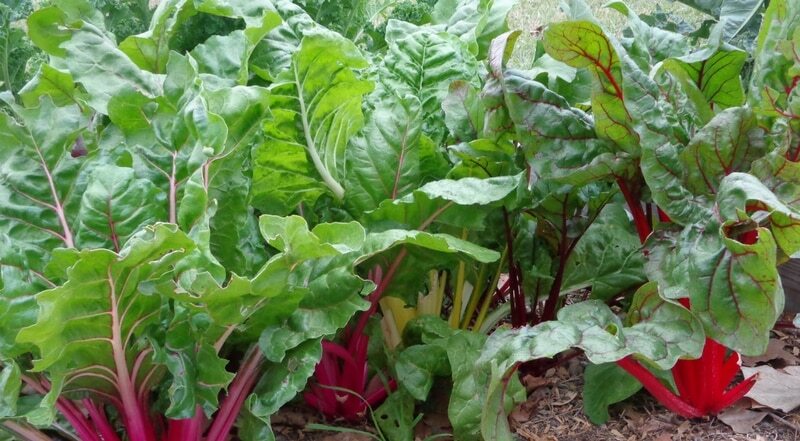 Usually, in late August or early September, I plant another round of greens such as spinach, lettuce, kohlrabi, and radishes in cold frames. We can keep the greens going until about January. After that, even with cold frames, it is just too cold and the plants will succumb to the freezing temperatures. Although in some milder winters, we have been able to keep things going until mid-February. Now while that may not seem like much longer, it really does make a difference when you are just craving something fresh from the garden. If No, why not and how do you get your produce for the winter? In addition to our fall/winter garden, we will generally purchase fresh produce at our local winter farmer’s market. There are several CSA’s that grow greens all through the winter (and some are hydroponic operations… .so they offer fresh fish for sale as well)! I also make use of the herbs I grew during the spring and summer. I harvest them and besides enjoying them fresh, I will dehydrate most of them (thyme, oregano, basil, sage, chives) and chop the rest into pieces and freeze in ice cube trays with some olive oil. Once those cubes are frozen, I package them up by the variety and then keep them in the freezer. They get added to soups, stews, sauces, roasted vegetables (or freshly mashed potatoes), and even mixed into scrambled eggs, frittatas, and quiche. If Yes, how do you do that? Do you use season extenders? Yes, we use cold frames as season extenders. Our first frost/freeze generally happens in mid-September so if I want to continue gardening past that point, season extenders make that possible. At the very latest (and not every year), greens in our cold frames can survive through mid-February. After that, our temperatures are just too cold for the plants to survive. We also eat a lot of winter squash, potatoes, kale, brussels sprouts, carrots, and onions that either we grew or purchased from local CSA’s. In the fall, a couple of the CSA’s have a ‘you harvest’ day and you can harvest as much as you want. We have harvested 50-pound bags of potatoes as well as storage onions (they keep well for months without getting mushy). Do you garden in the fall or winter? Yes. My gardening season is opposite from most of the USA. In most northern states the gardening season shuts down from November to February due to cold weather. Here in the south that is considered my springtime and my offseason is just about the opposite, it falls in July and August. These months the climate is so hot that most gardeners “take the summer off” by planning their crop harvest for June, so the warm weather crops are planted in March and mature by the end of June. Then, the season begins again in September with my cool crop rotation. I will plant lettuce, cabbage, spinach, potatoes, artichoke, broccoli, and cauliflower. Most of these plants can withstand a light frost, but I do have cloth row covers on standby just in case there is a problem. I also found that my citrus plants need protection from even the lightest frost. Citrus trees that are naturally exposed to lower temperatures in the fall will go through a hardening off process. They will form a natural protection that helps their leaves withstand a decrease in the freezing point. This helps them to become semi-dormant when temperatures reach the mid 30° F to 40° F range. To make this hardening possible in the South, it’s important to avoid pruning and fertilizing your citrus plants after July. This past winter we had a hard freeze for one week. My lemon and lime plants were still small, so I was able to secure an old bedsheet over them as frost protection. It worked fairly well, with only a small amount of leaf loss. I will have to come up with another method once the plants get bigger. Do you garden in the fall or winter? Yes. Because we live in a mild climate fall and winter gardening does not take a lot of effort but it does take some planning. Our summers are long and hot so while the seed packages say we can plant most cold weather crops in late August or Early September, the reality is that it’s too hot for seedlings until October so I don’t even think about putting seeds until then. I could probably sow in September if I were committed to watering every single day and some days twice a day, but I can’t do that at this stage in my life, so I wait. We plant lettuces, spinach, green beans, kale, swiss chard, broccoli, cauliflower, cabbage, onions, garlic, cilantro, carrots and beets in our fall and winter garden. Other than the green beans, we only plant things that can withstand light frosts and freezes because we rarely cover the garden when it freezes. This works well for us. We have neighbors who like to grow tomatoes and other heat-loving vegetables in their garden year round but it requires a lot of work, planning, a greenhouse…and being home. Because we can pretty easily grow a garden year round we don’t do a lot of preserving, we just eat whatever is available in the garden. We preserve our tomatoes, herbs, fruit, corn and green beans to add variety to our winter diet but that’s about it. We do buy some fruits and vegetables from the grocery store, mostly potatoes, apples and bananas. If you live in a warm climate, I want to encourage you to try gardening in the fall and winter, the pace is much slower, there are fewer pests and there’s not oppressive heat. There are many things that will affect your fall garden. Some of those things are out of your control such as the number of daylight hours you get in the winter, how much snow you get, how many chill hours you have, and how long between first and last frost dates. Other things are within your control such as using greenhouses or row covers and the amount of time you can dedicate to your garden. Even if you don’t choose to try to garden year round, fall is a great time to clean up the garden and begin preparing it for the next season. Fall is also a great time to build your soil and make compost. We are starting our first Fall/Winter garden. We’ll keep you posted on our progress and check in with yall when we have questions. The foreseeable problems are critters. We live in an old farmhouse in a state park. So deer, woodchucks , bunnies and squirrels are the main problem imo. How exciting! Yes, please keep us posted on your progress and let us know if you have any questions. How fun to live in a state park!